Have you ever considered how your death affects the environment? In recent years the concern for a green burial has become ever-more present and ever-more possible for those interested. While several options already exist, Jae Rhim Lee has come up with perhaps the most intriguing alternative to a traditional burial: the infinity mushroom. Over the past few years, Lee and her organization, Coeio, (which means “come together”) have been testing several strains of mushrooms in order to find spores that best aid in decomposition and the dissolution of human toxins. She has finally completed her work and the Infinity Burial Suit is ready to hit the market, with its very first adopter ready to try it out. Dennis White, a terminally ill man, has decided to try out this fascinating option and has reserved his own suit. So how does it work? Well, it’s simple. You can purchase an Infinity Suit in the latter part of 2016, when it becomes available to the public. Even if you have no need for the Suit right away, you can purchase and store it for an unlimited amount of time. The mushrooms and microbes present on the suit work quickly and efficiently to get rid of the 219 toxins present in the human body and decompose—the result is a clean reintegration back into the Earth and another step into a more sustainable future. If necessary, Infinity Suits can be used in conjunction with biodegradable caskets or as a sole container. Pricing in at $999, this is one of the most affordable options currently available. No need to worry about invasive species either, the mushrooms used in the suit are commonly found all over the world. When faced with dead organic material, they simply go to work doing what they do best. 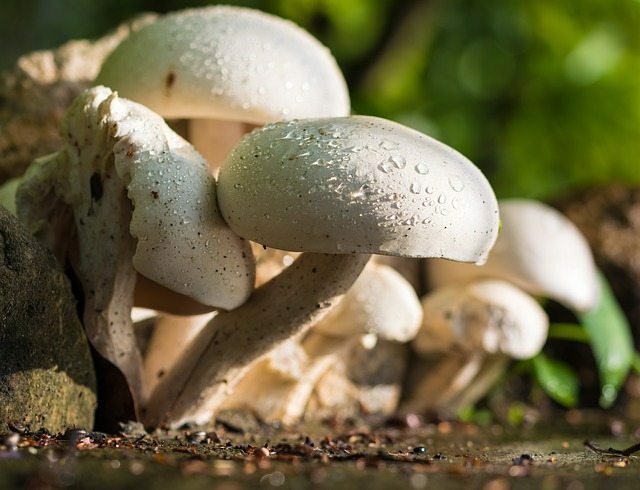 Even more than providing a more environmentally friendly burial option, these multi-tasking mushrooms also create a catalyst for new plant growth and soil enrichment. At a time when environmental concerns are reaching a fever pitch, it is comforting to know that there are things we can all do, even in death, to contribute to a better Earth. When we take away the emotional response that we all inevitably have to death, we can see that death is just a part of an ongoing cycle. This cycle, also known as life, must be protected for future generations.